Liver cancer refers to malignant tumor in liver, with patients’ average age 44. The average live time is half a year without timely treatment or proper treatment plan. There is no obvious symptom in the early stage. Once detected, it’s already in middle or advanced stage. Therefore, it’s very important to make a timely and effective diagnosis for liver cancer. 5. 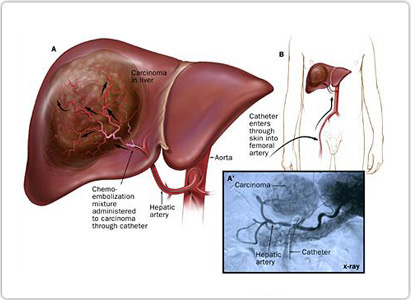 Selective celiac or hepatic arteriography: it can indicate out tumor with the diameter even among 0.5-1cm and localize the position of lesion, as well as its sizes, distributions. This is especially valid for small tumor localization of liver cancer. Experts from Modern Cancer Hospital Guangzhou remind that as for liver cancer’s diagnosis, in order to guarantee the effect and safety of exam, it’s necessary to go to a regular hospital.